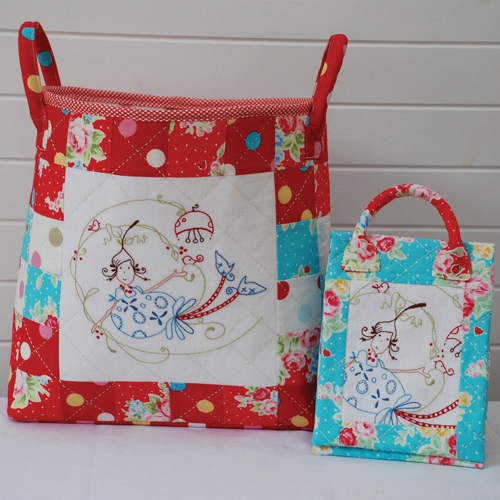 Two projects in one, a ‘bucket’ style bag and a needle carry case, both with rolled handles and little elfin girl. It’s Just Darling! The bag is perfect to sit beside your chair while you sew. Awesome for stashing balls of wool, squishing magazines in or just sitting there looking pretty stuffed full of crafty ‘things’.